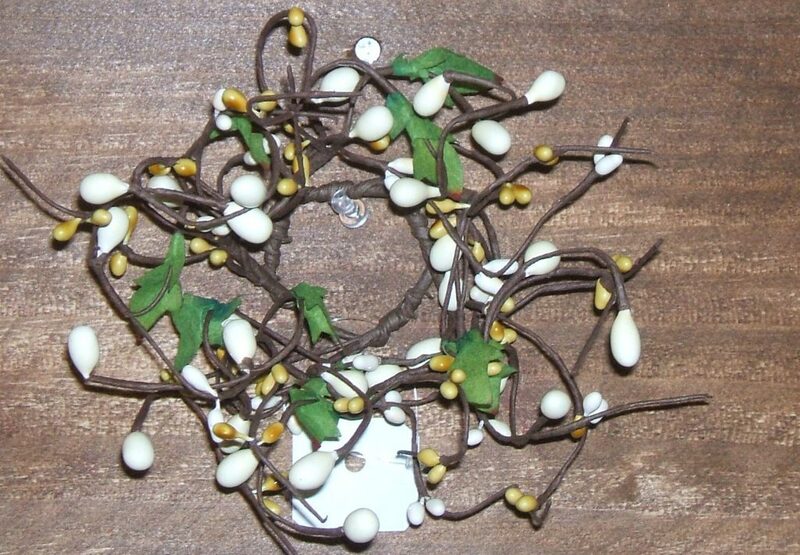 The 6" Candle Ring is a tidy arrangement of the various sizes and colors of berries and leaves. These are a good fit around pillar candles or pulled into a line and interwoven in a vignette. They also are an uncluttered addition to the base of our Black Iron Standing Jar Holder.